Sailed with Albertina. 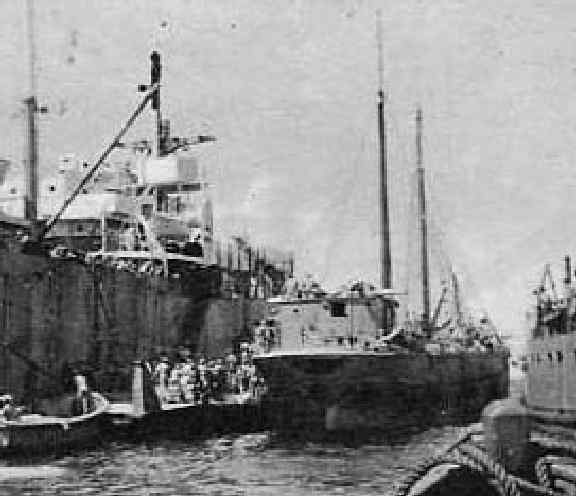 180 refugees transferred to Palmach at sea, and Italian crew to Albertina. Captured by minesweeper HMS Rowena. Boarding was successful only on the fourth attempt, one refugee was killed. Refugees taken to Cyprus on the Ocean Vigour. Name: The Palmach was the elite fighting force of the Haganah.